Today’s Flash Back Friday comes from Episode 64, from December 2011. What happens when the government plays doctor? 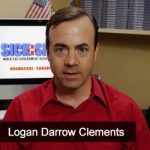 Join Jason Hartman as he interviews the producer of the documentary, “Sick & Sicker,” Logan Darrow Clements. Logan went to Canada and interviewed doctors, patients, journalists, and even a doctor who went on a hunger strike, to find out how well a government-run healthcare system actually works. He shares some of his findings with Jason and encourages Americans to pay attention to the cold hard facts and downfalls of Obamacare. He discusses the similarities between Obamacare and Canada’s government-run healthcare system. In his film, he even shows how supply and demand do not match up in a medical system run by politicians. Long waits in doctors’ offices, hospitals, and clinics ensue and some treatments can take months to be approved, if they’re approved at all. Anyone in America receiving government healthcare through Medicare and Medicaid already knows the pitfalls and high cost of government interference, where some medications and treatments are denied and the patient must come up with the money from their own pocket to treat a condition or even save their own life. Logan Darrow Clements is an entrepreneur and managing member of Freestar Movie, LLC in Los Angeles, California. He graduated from the University of Rochester in Economics in 1991 and William E. Simon Graduate School of Business Administration in Finance and Marketing in 1992. He is best known for his “Lost Liberty Hotel” project, a rebellion against eminent domain abuse in 2005 that involved him trying to seize the house of Supreme Court Justice David Souter using his own ruling in the Kelo vs. City of New London case.